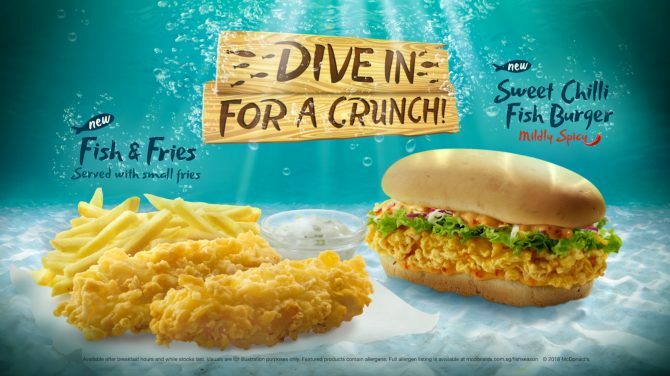 It’s fish season at McDonald’s Singapore! We are setting sail for a familiar trip to the ocean, to make a dive for the Fish & Fries and Sweet Chilli Fish Burger. We are still thanking the stars for the return of the McGriddles when McDonald’s decided to bring back two more of our old favourite flavours. 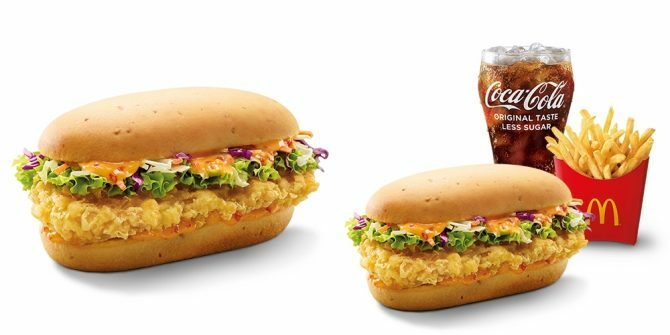 Those who love fish, or just love the classic Filet-O-Fish from the fast-food restaurant, can rejoice to have more options featuring the yummy seafood on the McDonald’s menu. 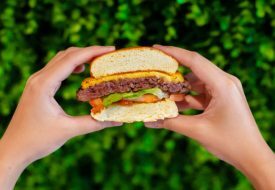 Head over to any McDonald’s restaurant in Singapore to get them starting today, 28 March. They are also available for delivery orders via McDelivery and GrabFood. Fish & Fries is just what it sounds like – two tender and flaky fish filets fried in a golden crispy batter, and served with fries. It is also paired with creamy tartar sauce for dipping. Think the classic English fish and chips, with that crunchy goodness on the outside that reveals tender fish filet when you bite into it. You can enjoy it a la carte at $7.30. 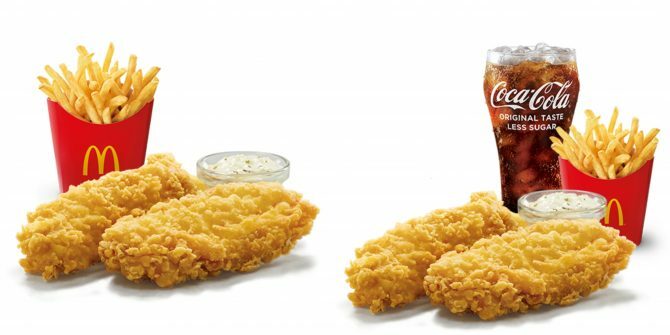 For an extra $0.90, you can enjoy the Fish & Fries with a medium Coca-Cola Original Taste – Less Sugar, in the Fish & Fries Extra Value Meal™. To savour the crunchy fish goodness in a more substantial meal, go for the Sweet Chilli Fish Burger. Here, the same fried fish filet you get in the Fish & Fries is sandwiched between two lightly toasted buns. A vibrant bed of vegetables goes on top of the filet, while sweet chilli mayo sauce is coated all over everything. According to McDonald’s, the spice level of the burger is mild. The Sweet Chilli Fish Burger is available a la carte at $6.00. 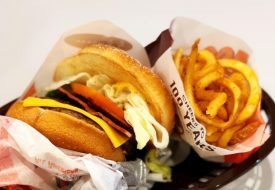 You can also make it an Extra Value Meal™ to enjoy the burger along with medium fries and a medium Coca-Cola Original Taste – Less Sugar (M), from $7.80. But that’s not all! 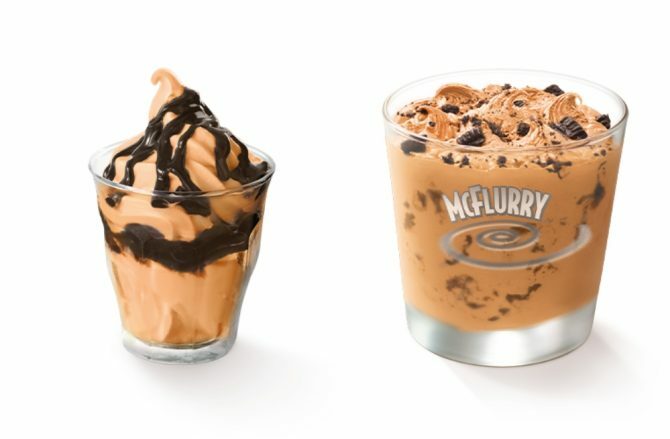 McDonald’s Singapore didn’t just stop at bringing back two familiar flavours; they are also treating us to something new – Coffee Milk Tea Soft Serves! Fans of the Yuan Yang drink should make a beeline for the new ice-cream flavours. 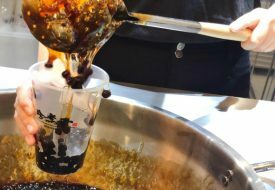 Also known as Kopi Cham, the popular drink that blends coffee and Hong Kong milk tea is the inspiration behind McDonald’s new local-style dessert. Sweet and creamy, while also packing your daily caffeine punch, the ice-cream looks just divine. They come in chocolate flavours too! Try the new Coffee Milk Tea Soft Serves now at all McDonald’s Dessert Kiosks. 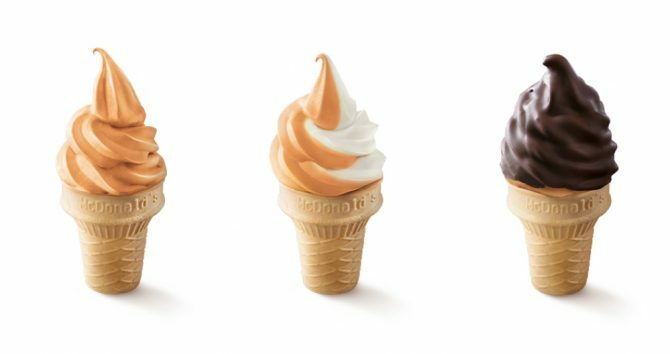 You can enjoy them in a cone – the original cone and Twist Cone are both available at $1, while the ChocoCone costs $1.20. Additionally, if you would like even more flavour in your ice-cream, opt for the sundae ($2) and McFlurry ($3) variations pictured below.